My name is Bryant Griffin and I am a fan of your work. Although I didn't know you by name, I have become a fan of your style of work for the Star Wars Universe. I love your website and want to thank you for exposing me to other work that you have done outside of Star Wars. I am new to the illustration field. My first illustration assignment was for Wizards of the Coast's Legend of the Five Rings (before it was sold) and I have done some work for Shadow Fist Games. All in all I have been working professionally for a little less than a year. I was wondering if you could give me some advice if you don't mind. After reading your interviews I have noticed that a number of your assignments have come through mailing submissions. Although I haven't mailed anything since I have started painting, all of my assignments have come by meeting art directors at conventions. How do you go about creating a mailing that grabs the art directors attention? By the way, I'm going to be attending Dragon*Con and hope to get an opportunity to chat with you. P.S. 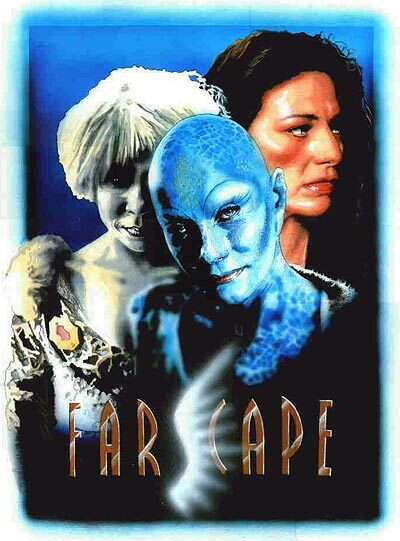 Attached to this e-mail is a sample of my Farscape piece. Thanks for taking the time to drop me a line. I have to admit it's a pretty good feeling knowing my work inspires other artists or just catches their eye. It retroactively inspires me to keep pushing myself to work harder and just do more art in general, even when I'm not always feeling creatively motivated, frustrated with a certain project perhaps or just having a bad drawing day in general. So thanks for letting me know you're a fan and that you enjoy my website. Even though you are new to the illustration field, you are off to an impressive start. Legend of the Five Rings and Shadow Fist Games are nice properties to be established with and published for so you seem to be doing pretty good right away. I've also been lucky enough to pick up work from prospective clients and publishers at conventions by showing my portfolio around. It's not just a matter of having good or even unique work with a slick style. You also need to know how to be a good business person if you are going to survive in this competitive industry and one of the most important facets of this is being personable and having good communication skills. Just having an accomodating, warm or approachable personality goes a long way and only helps to make your portfolio more effective when trying to impress an art director or editor. Obviously these are skills you must be adept at since you've been successful enough to obtain freelance from clients directly at conventions. But being personable and communicating properly in a portfolio submission through the mail can be just as effective. Along with researching the client, knowing what styles they are attracted to and becoming familiar with the content of their publishing will help dictate what samples of your work you may include and how you tailor your submission for them. Usually if it's sequential art, include five to six pages showing a variety of scenes from dynamic action to less dynamic but equally important talking or character development scenes. If it's full color illustration you're after, some clients may only request 5-8 pieces of your strongest work. Other publishers might want more so be sure to research their submission guidelines carefully, but only send your 'best' work. Learn to edit yourself. You have one shot at getting their attention and there's always some artist out there better than you. But their one, small mistake could be your benefit if your submission is solid across the board and is the next one in the pile on the editor's desk. Now that you have decided which prints of your samples you'll be including, next comes the harder part for most artists I think. It's important to include some kind of informative but brief cover letter explaining your desire to contribute as an artist. Be sure to include your current contact info in the letter along with a business card if you have one or perhaps a mailer. Make sure you are enthusiastic about wanting to provide them with your best work possible, but don't be pushy or over do it. Even if your work is competent enough a little enthusiasm always does help. Most importantly be sure to proofread or spell check! I've known editors and art directors who have thrown submissions in the can or the back of the file cabinet because an artist has poor spelling or improper grammar (and trust me, there's alot of us out there). You should also include a resume' if possible but I find that can be optional once you become more established and have a professional portfolio of published work you can show. If you include the resume', only list the work that's pertinent in some way to the publisher you're contacting so keep it brief, to the point and be sure to proofread again. Once you turn in the submission through the mail and a month or two goes by without word from the publisher, editor or art director you contacted, you should consider following up with a polite email or phone call (if you have that contact info for them) inquiring if they got your samples and what they thought of your work. If they don't or do respond but you still haven't received an assignment from them be sure to follow up with a new portfolio submission of your latest, best work every few months so that they know you are serious. Be persistant, perhaps tenacious but not overbearing or annoying. Keep your cool, be patient and be professional and if they keep seeing your work regularly (as you're most likely improving) then eventually they might give you a break with their company. Pass it on to anyone you know who likes Farscape since the more support this show gets the better it's chances of continuing for a fifth year or ending up on another network possibly! Shows this good sometimes only come once a decade or even a generation. Be sure to stop back next Thursday for a new installment of Comics 101. And don't forget, I'll be attending the Mid-Ohio-Con this Nov. 30th and Dec. 1st in Columbus, Ohio. I'll be appearing at the World Famous Comics booth all weekend displaying my Star Wars art and signing prints and copies of my work so be sure to stop by and say hi!